Have you given up on your resolution already? 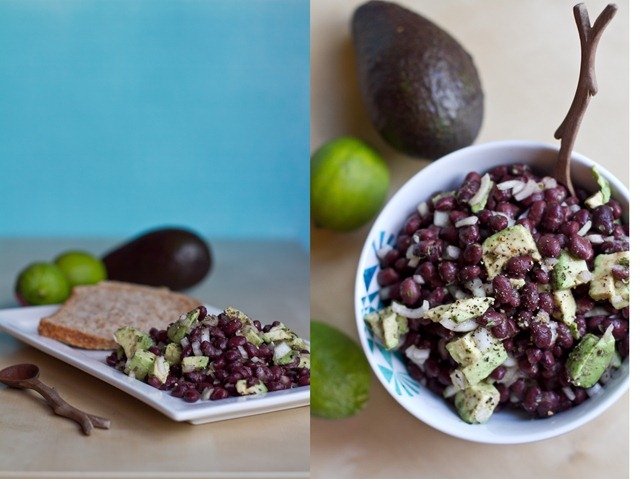 Dropped the idea of becoming a vegan and thrown out the gluten-free bread from your pantry? If you’re sneaking a piece of dark chocolate as you read, have no fear. We aren’t hear to reprimand you. Au contraire, we want to applaud you for making a choice that’s actually good for your little pumping heart. Oh wait, you didn’t know? Chocolate is really good for your body (in small doses). So is anti-oxidant rich red wine. Bottoms up, friends! Today, we uncover 4 healthy foods to keep on hand at all times and recipes that they can be incorporated into. Check out the hot gossip below! Studies have shown that replacing your meat intake twice a week by substituting fish can prevent heart disease by 30%. Salmon is one of the more popular varieties, and for good reason. In addition to being uber tasty, it is marbled with healthy fats. Make sure that you buy fish that was sustainably sourced. This helps protect the natural habitat and prevent overfishing. How to Make: In a large bowl, whisk together the juice of half a lemon, 1/4 cup Greek yogurt, 1 egg and a liberal sprinkle of salt and pepper. Add 1 cup of pre-cooked or canned salmon (drained) and 2 cups of cooked wild rice. Taste the mixture to make sure it is properly seasoned. 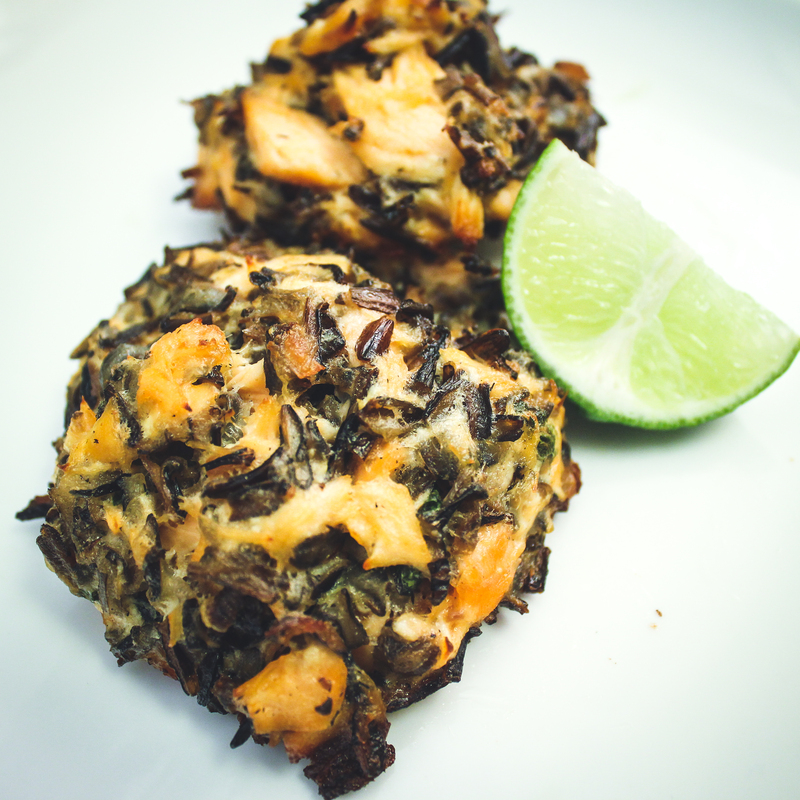 Form the salmon mix into small patties and place in the freezer for 20 minutes to get them firm. Rub each one with 1 tsp of sesame oil and bake at 450 degrees until golden and cooked through. In case you haven’t heard by now, almonds are a god send. These teardrop shaped nuts are loaded with Vitamin B2 (riboflavin) and magnesium, which helps produce serotonin. Serotonin is what makes you happy and brings smiles to those chubby cheeks. Just 1/4 cup of almonds every day is a guaranteed healthy energy boost that your heart will thank you for. How to Make: Whisk the eggs with a handheld mixer. Add flour, water, vanilla and buttermilk. Keep whisking the mixture together until it resembles a pancake batter. And if you want a heart healthy boost, add a tablespoon of ground flax to the pancake mixture. This will make the cupcakes even healthier and nuttier! Preheat a small griddle or nonstick pan with just a few drops of light oil. 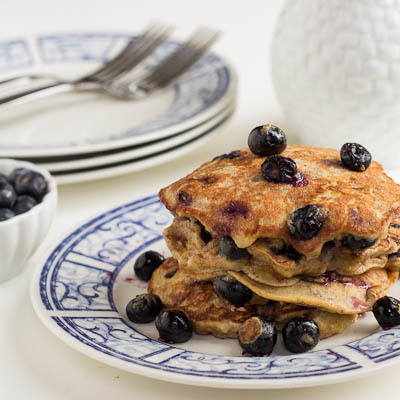 Pour pancakes of desired size onto the pan once it’s hot enough and sprinkle a few blueberries into each pancake. Cook for about three minutes per side and serve immediately. We like ours with organic maple syrup! Beans are a great addition to any healthy diet, and a great replacement for a meal that might normally have meat. They are high in carbs and protein, so you’ll feel full for a while after chowing down on them. They are also abundant in iron and calcium, which your body needs a daily dose of. How to Make: In a large pan, saute onion with olive oil on medium heat until it is golden brown. Add beans, cumin, and a generous sprinkle of salt. Cook the beans for 3-4 minutes. Add the juice of 1/2 lime and taste for acidity. If the flavor is to your liking, empty into a clean bowl. Add the chopped avocado and cilantro. Serve as a salad or in tortillas for yummy soft tacos. Dark leafy greens are nutrient powerhouses. Kale, which has only gained a cult-like following in the past 4-5 years, contains B6 and folate. These two team up to keep homocysteine levels down, which may help prevent heart disease, dementia, and osteoporosis bone fractures. How to Make: Preheat the oven to 350 degrees. In a large bowl toss kale with oil, sea salt and parmesan. 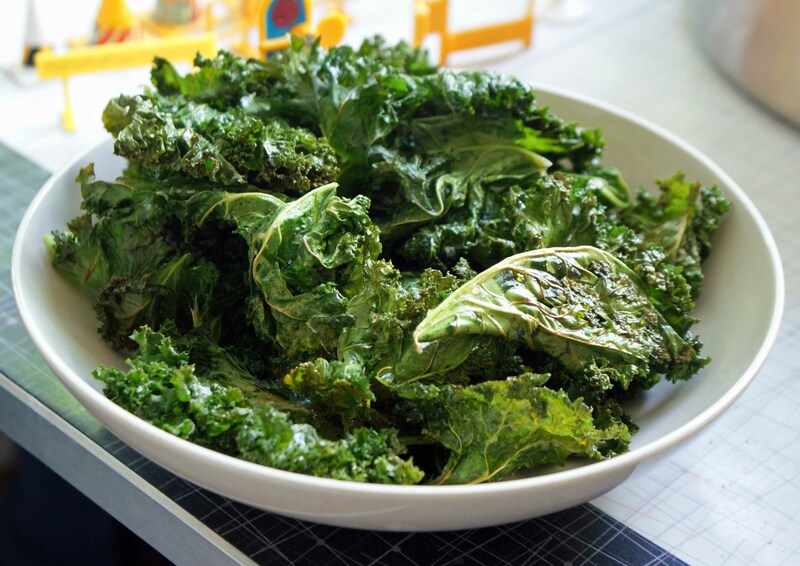 Spread the kale out on a large tray lined with parchment paper and bake for 10-15 minutes. It should be dry and crisp when you remove it from the oven.